In 2015, Facebook COO Sheryl Sandberg was in Mexico with her husband, Dave, to celebrate a friend’s birthday. Sheryl fell asleep while the group played iPad games and when she woke up Dave was gone. It didn’t seem right. Sandberg alerted the group and they searched the hotel. She found Dave in the hotel gym, face slightly blue, lying next to the elliptical machine. CPR was unsuccessful. The book has a simple message: After loss, which can be any trauma or life-altering event, being there for each other makes all the difference. “You do not have to be someone’s best friend to just show up and say, ‘I’m here if you need me.’ Just show up,” Sandberg said. Adam Green explained how being present for someone when they need it can help to build their resilience. Resilience isn’t a fixed state, Green said – we build it and can support others in building it, as well. “What happens when we are brutally honest with each other?” Sheryl asked the audience. “We build resilience by sharing what is really going on.” She calls this ‘collective resilience’ – the resilience not just of an individual but of a group, fueled by, “shared experiences, shared narratives, and shared power,” she said. “How many Self Help aisles are in the bookstore? But where is the ‘Help Others’ section?” Green asked. 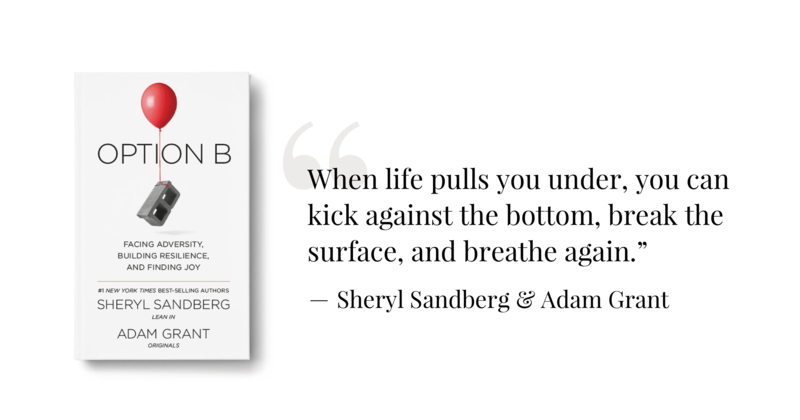 For Sandberg and Green, helping someone you care about build resilience is about starting that awkward conversation. If you are the person who has experienced loss, it’s about putting your needs out there and having someone listen with undivided attention and acknowledge them. Ask yourself, what are people not asking you that you wish they were? How could you be more open with others so they could be more open with you? As a support person, we may need to listen to the same story over and over. As a person dealing with the trauma of loss, you may need to share stories that remember the good times but also share the difficult and confusing times. But through honestly telling your story or listening to those who do, you create healing in yourself and in others. This give and take, ebb and flow, of sharing and listening helps us realize we are connected to something much larger than ourselves. That is collective resilience. What we learn about ourselves and our worlds, and the changes we choose to make in our lives, helps bring meaning to the challenges we face. It is what Adam Green and other psychologists call post-traumatic growth. It is more than light at the end of the tunnel and it is more than returning to the person you were before the trauma—it is the discovery of a new self and a new life following our pain. 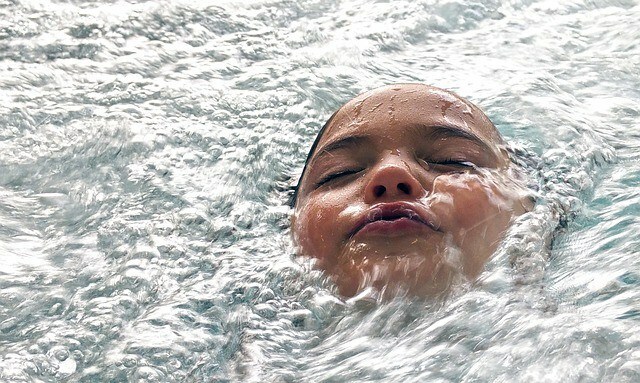 “We often have to accept our new—and often unwelcome—identity,” Sandberg said. For her, this acceptance came through journaling, and these insights from her journal now form the basis of her book. Sheryl Sandberg understands the power in shared story. She understands the power of community, which builds resilience by giving those living through trauma the opportunity to share their story. You have that opportunity as well. Consider visiting Sheryl Sandberg’s community, OptionB.org to share your story. It will not only help others, it will help you find the shared resilience of post-traumatic growth after loss.